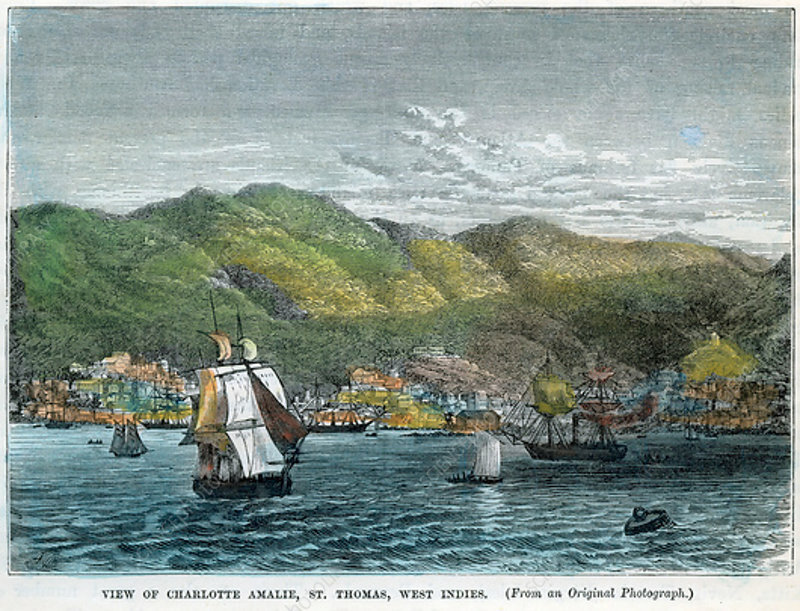 View of Charlotte Amalie, St Thomas, West Indies', c1880. Charlotte Amalie is today the capital of the US Virgin Islands. At the time of the engraving Saint Thomas was part of the Danish West Indies.